We gonna travel along pathways of movement who are still there and since back in time in our cell memory. With a dash of an urban taste, we will explore the variety of the feminine and the masculine essence in its uniqueness. A class full of rythme and constant earthy, proud, flowy, wavy, circeling movements with an awareness of our senses until we connect with the inner self, the natural intuitive sensitivity- a deep and unforgettable presence. Lia (Berlin) is a passionate dancer and a dedicated dance teacher, she is also a singer and performer, heartful communicator, energy worker and coach. At home in her body, she inspires a deep connection in those who witness her move. 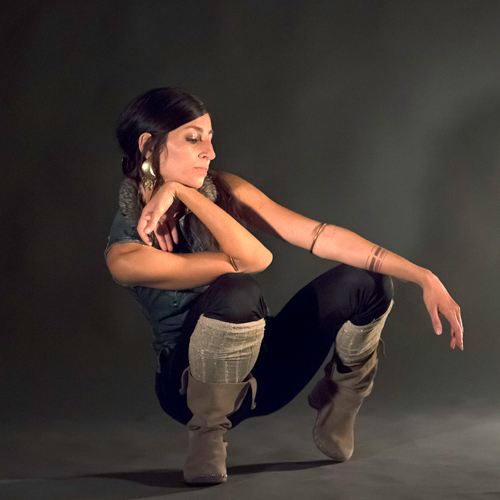 Amongst her lifelong passions of mastering dances from around the world, Lia studied Rajasthani Gypsy Dance, Afro Carrebean, Release Technique, Qigong, Contact Improvisation, and fell in love with Dancehall, Hip Hop, and other progressive urban styles. With a wide focus on the emotional, physical and energetic body in general Lia’s curiousity for movement and body language is endless. Her dance is always soulful, blending street style with a deeply spiritual inner power, connecting mother earth and father sky, with the tongue of an urban shaman. Her language is at once the new and the old, the known and the unknown. Born in Berlin, she explores the breadth of urban dance forms and the ancient ones equally in a global journey of discovery. She studied with Orchidaceae Family, Amy Sigil, Zoe Jakes,Rachel Brice , and many more, and she always keeps on moving. Her movements are like silk and water, sensual and snaky, and her performances go beyond bellydance. Collecting and merging every quality of the feminine essence she has explored through her dance, Lia moves as a woman who is grounded and proud, authentic, aware of her senses and her vulnerability, a powerful combination which gives her natural intuitive sensitivity a deep and unforgettable presence.